I think you’ll agree with me when I say it’s REALLY hard to create a blog that actually makes money. Well, it turns out there is an easy to follow method to do just that! The best part is it’s very easy to learn and anyone with enough motivation can succeed. In today’s post I’m going to show you exactly how to build your first blog, step-by-step from start to finish. My name is Ryan Gray, and I am going to lead you on this journey to building a successful blog. Free Bonus: Click here to download a free PDF with these 10 Steps To Starting A Successful Blog that you can print and cross out as you complete them. I built my first blog back in 1998 using Geocities. Since then, I’ve launched numerous successful blogs, which have allowed me to have a career owning my own businesses on the Internet. 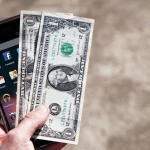 For nearly two-decades friends and family have constantly asked how they can start making money on the Internet. My answer is always the same: start writing a blog! Unfortunately, most people don’t know where to start, therefore I’ve decided to publish this guide that walks you through the exact process. You don’t have to be an Internet guru, a web developer, or even that good at computers to have a successful blog. You just need to have the motivation to be able to follow directions and stick to it. Now excuse my bluntness, but it’s time to get started. Make Money / Start A Business – The number of “work from home” opportunities online are tremendous and many of them start with a blog. All seven of my Internet businesses started with me creating an audience by high quality, useful content. Personal Blog – A personal blog is a great way to express yourself and to help drive attention to things that matter to you. While social media is a good way to connect you with your audience, your blog is a great way to explode your reach. Promote Products Or Services – Affiliate marketing has been extremely lucrative since the inception of the Internet with people blogging about everything from food to vacations. Drive Interest To Your Cause – Non profit and charitable organizations find a lot of success attracting a larger reach by blogging about their mission and including rich media content with their growth. Website For Your Small Business – Every small business needs to have a website. By creating a blog for it, you’re able to garner more local SEO traffic appearing more time throughout the search results. It’s important to have a clear goal in mind when starting your blog. Simply “wanting a blog” is too broad and doesn’t allow you to focus on creating high quality content that will leverage your growth. Before picking a domain for your blog, you should have at least a general idea about the niche. Health – Just look how big the diet niche is. People are always looking to be in better shape and live healthier, happier lives. Wealth – Regardless the income bracket, people are always looking for ways to make more money! Those that make a lot are interesting in investing and expanding their assets, while those that don’t, are looking for ways to make more. Relationships – It’s our human nature to have good relationships. Just look how big the online dating scene is and how far it has grown over the last decade. It’s only going to grow as more people become connected! Entertainment – My first million-dollar business was a professional wrestling website. I turned my hobby from the early 2000s into a business that reached millions of users around the globe! Regardless the niche of your blog, you should choose something that you have a passion for. One of the biggest challenges new blogger face is not having enough content. Pick something that really interests you; there are blogs about anything nowadays! 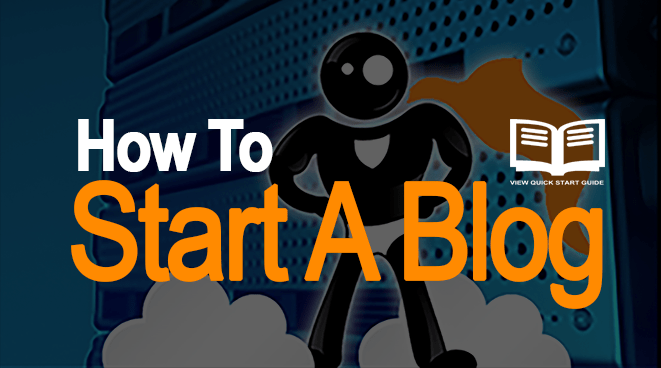 Once you have decided what kind of blog you want to start – it’s time to start building! If you follow this tutorial – you should have it up and running within the next hour! The single most important thing for your blog is a good domain. You want to choose something that is easy to pronounce, spell, and can be branded around your audience. You also want to try to get a .com! Once you have your domain – congratulations! Don’t worry if you have more name ideas – you can always register those and save them for later. Regardless your niche, purpose, individual, or business, you’re going to need a web host for your blog. Services such as Blogger are cool, but since they “host” the content they can technically delete it at anytime. Imagine writing a blog for a couple of years and everything disappearing overnight. That would be a tragedy! Unfortunately I’ve seen it happen more times than one! To prevent this, you should use self-hosted software such as WordPress. The most recent stats are showing that since January 2017, WordPress is actually powering 27.4% of the Web, and it’s on the rise. It is still by far the most used CMS, with 58.6% market share. 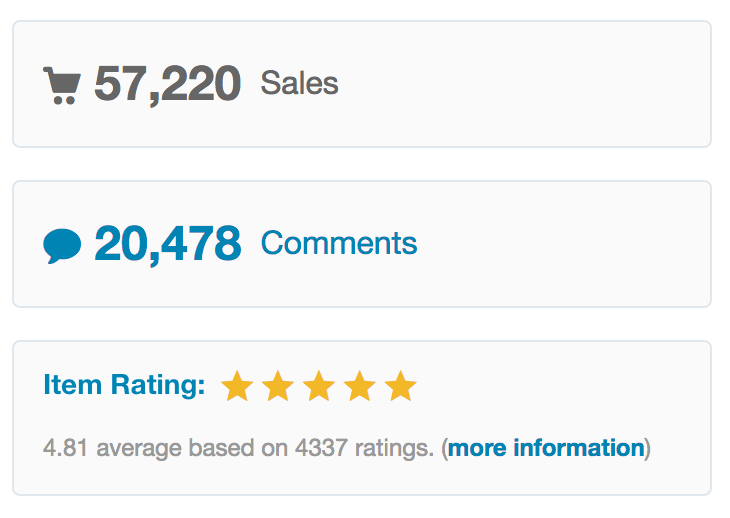 Also interestingly on a daily basis there are over 500 sites being created on WordPress (W3Stats). Thousands of companies offer WordPress hosting, but only a couple have the exact features you need. This is my personal reason behind starting NameHero. One Click Installation – Install your WordPress website with a couple clicks of a mouse including premium, professional designed themes. LiteSpeed Web Server – 9 times faster than traditional web hosts such as HostGator and Blue Host. Free & Automatic SSL – Required by Google to get good search engine rankings, most hosts charge a surplus for SSL certificates. 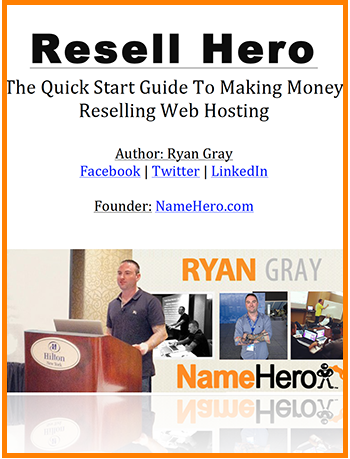 At NameHero they’re free and automatic (no hassle to install). cPanel Control Panel – Easily setup email addresses, subdomains, and additional WordPress installations from inside your web browser. No coding knowledge needed! 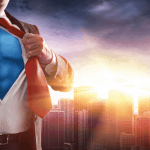 High Speed Cloud – Name Hero’s cloud allows you to start your website for as low as $3.49/month and expand as your website grows without downtime! From 0 visitors to 1,000,000 visitors – we have a plan to fit your blog! Setting up your WordPress hosting account is easy! Congratulations! Your web hosting account is setup. Now, you just have to install WordPress! If your website isn’t immediately available, you may need to wait a few minutes for it to propagate. It’s a good reason for a strong cup of coffee! Don’t be nervous – you’re not going to be touching any code or configuration files! WordPress allows you to customize almost every aspect of your website inside their admin interface. For items you cannot customize directly, there is a plug-in for that! WordPress Plugins extend and expand the functionality of WordPress. As of January 2017, there are 48,605 plugins with 1,548,401,838 total downloads at your fingertips through their plugin directory. I always like to remind people, they shouldn’t “overload” their WordPress with plugins as adding too many could compromise the speed and security of the website. When deciding to install a plugin one should consider if the feature is REALLY needed and be sure to keep it updated frequently (along with WordPress itself). AMP – Enable Accelerated Mobile Pages (AMP) on your WordPress site. SumoMe – Free and easy way to double your email subscribers. 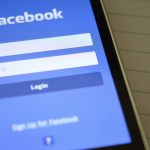 And Sharing tools to double your traffic from Facebook, Twitter, Pinterest & more. Related Posts – Related posts (aaa+) Yuzo is intended to show related post plugin as accurate as possible, also has multiple features with more customization options +60 much as structure as design. If you’ve followed this tutorial step-by-step you may not have to worry too much about configuring the settings for your WordPress installation, but eventually you may find them important for customizing certain aspects of your website such as how your links are formatted. WordPress makes is SUPER easy to login to your admin area and start posting immediately after you sign-up. My favorite part of WordPress is that I can schedule my blog posts ahead of time so it looks like I’m actively blogging all week, when in reality I’m writing everything in one day. This is especially great for those with good Inbound Content Marketing strategies. Also, it’s nice that WordPress allows you to embed your YouTube videos, Facebook images, and other media without having to rely on a any additional code or manual uploading. Everything is simply controlled straight from the wp-admin interface. There are two main things you need to remember when starting your blog: usefulness and consistency. The more useful your blog is, the faster it will grow. Consider who your target audience is and start helping them solve their issues. For example, at NameHero our audience is people looking to start their blog. How do we help them solve this issue? We write an over 2,000+ word guide with over 2 hours of video content to show every step of the process! Now, not every blog post has to be that detailed, it could be something as simple as a 5 minute YouTube video, as long as it is helpful. As long as you stick to that format, you will grow an audience (hint: think about what people in your niche are typing into Google). After you have your content strategy mapped out, it’s important to be consistent. Most of the bloggers that fail lack consistency. Blogging is just like going to the gym. One post isn’t going to make you popular. But a collection of posts over time will! Looking back at all of my successful websites, the first six months were the toughest to be consistent, but after that you’ll begin to notice fairly steady traffic. Post frequency also plays a big role into this. Personally, I like to publish at least one useful blog post a day Monday through Friday. This could depend based on your niche. Maybe it’s once a week. Regardless, make sure the information is highly useful and something not found elsewhere. Show me the money! This is what comes out of the mouth of most Entrepreneurs when they get started with their first blog or website! Using WordPress, both individuals and businesses with little to no technical knowledge can get their fully functional website online in a matter of minutes. But how do you monetize it? First, it’s important to note, that unless you’re doing something shady (or perhaps illegal), millions aren’t going to come overnight. However you CAN start making money (even millions) as long as you’re persistent and willing to put in the hard work. By far this has been the most popular route amongst webmasters since it just requires you to copy and paste an ad code on your site. However your results are going to depend on the quality of traffic you’re sending. Exponential is another company that pays based off CPM (cost per one thousand impressions). They are another good backup for the inventory Adsense cannot monetize. 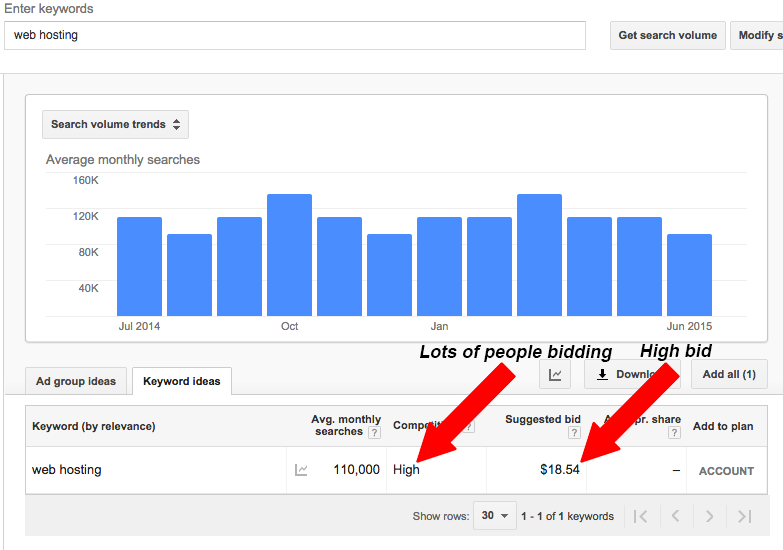 You need a lot of monthly visitors to make good money with CPM/CPC ads. If you overload your pages with ads it’s likely Google will penalize your search engine results and/or visitors won’t return to your site for poor experience. So this is a slow and steady method. Don’t put all your eggs in this basket, but have patience it will build over time. Getting started with these type of ad networks is easy, you just have to integrate their code after your website / blog is approved. As with traditional CPM/CPC ads, I wouldn’t put all my eggs in this basket, but as your traffic grows your revenue from this will too. If you have a loyal audience, you can make a freaking killing with affiliate networks. 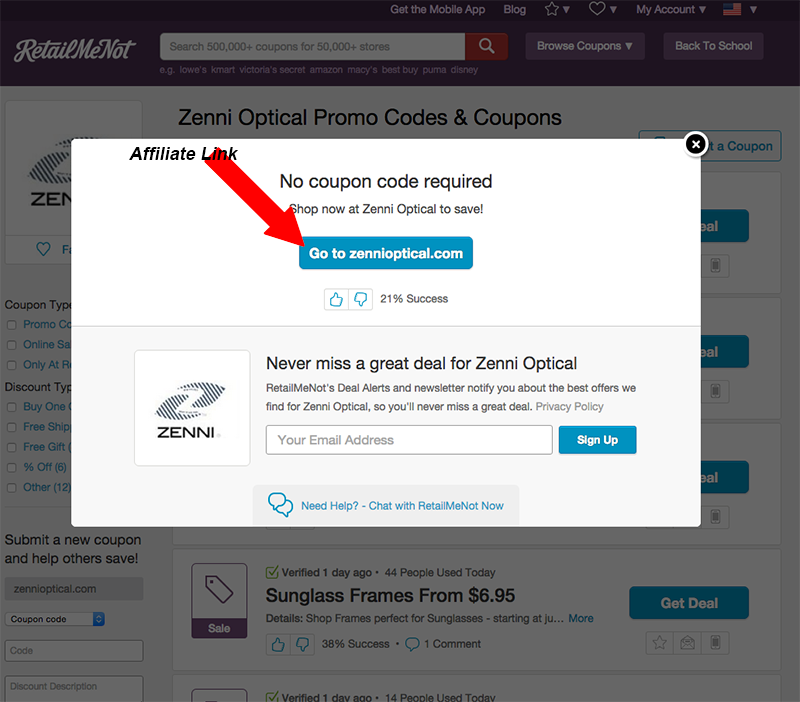 Unlike traditional CPM/CPC ad networks, affiliate networks pay a commission for each sale or customer you send to one of their advertisers. Prior to launching your website or blog it would benefit you to examine affiliate networks for potential advertisers. Name Hero is an official partner of the aMember Membership software. I’ve personally used their software along with WordPress to make a lot of money selling subscriptions to ‘premium’ content. An example of this can be found over at WrestlingNewsWorld.com. If you are knowledgeable at a certain trait then it’s very possible you can charge for access to certain articles or section of your website. Another good example of a subscription website is the folks over at SEOBook.com. They have thousands of members paying to learn how to do search engine optimization. The benefits to charging for your own content is that it doesn’t take as much traffic to make some good revenue. We know from experience you can make good money selling ads using the OIOpublisher WordPress plugin. Each month we spend several thousand dollars on blogs throughout the Internet that use this very plugin. While some sites we’ll go out of our way to contact the webmaster to purchase ad space, this plugin allows us to buy media quickly without having to go back and forward with email chains. Start by settings your prices to be reasonable and charge a fixed rate for the month. 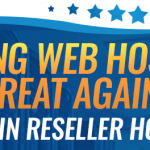 If your website or blog is in a niche similar to web hosting, you stand to make a good bit of revenue this way. In conclusion, when I got started working online in the late nineties it was much more difficult. Content Management Systems such as WordPress didn’t exist, so before I could even get my first website online, I had to learn how to code HTML, CGI, and design basic graphics. Having a “successful” idea or way to “monetize” didn’t come until I spent months getting my actual site built. So the good news is, using WordPress, all this complicated stuff is done for you! Before you get ahead of yourself you need to make sure whatever your website is about is something you’re passionate about. I’ve spent a good bit of time coaching Entrepreneurs over the years and the most common point of failure is losing interest. Since money isn’t going to come overnight, you’re going to have to actually be interested in what you’re doing. Over time, money will come. But it may take a year or two to get things really rolling. Don’t let this discourage you, once it’s built, it’s out there to earn! WordPress makes it extremely easy to have a professional looking theme on your website. During my initial installation video I show how you can easily search through our free theme library and choose a premium theme instantly. But what happens if you want to change it later? There are thousands of WordPress themes across the Internet! Regardless the subject of your blog, it’s likely you’ll find a design that’s unique to your audience. As you can see, it’s extremely easy to change the theme/design using WordPress. I remember the days of the late 90s and early/mid 2000s when changing a website design was a tremendous process! The good thing about using NameHero’s WordPress hosting is we also include 4,000+ themes free and ready for immediate use. From business websites to personal blogs to eCommerce websites, we have something unique for every niche. I know, it can be a bit frustrating when an update breaks some of your code, but this is one of the top reasons why a website gets hacked. Especially when you’re running multiple websites, it can be easy to forget about updates, so leaving this option on is a great way to keep your site safe and secure. It’s not a matter of if, it’s a matter of when your website gets hacked if you’re using an old version of WordPress. If you use a security plugin such as Wordfence, they’ll send you a nice little email when it’s time to upgrade something. As long as you “stay current” with these update, the chances of them “breaking” your website are very slim. But if you let them get too far outdated, you could run into a host of issues. Unfortunately most people put this off until its to late costing them unwanted downtime and extra expenses trying to get it cleaned. It really doesn’t help that Softaculous defaults their one click installation to use admin as the username and pass as the password. I wonder how many people neglect to change this? Perhaps I’ll tweet this blog post out at them. Understand, there are thousands of bots out on the Internet that spend all day doing dictionary attacks on your wp-admin page. Once they gain access, it’s their site! This can be solved by using a simple password generator. I’ll never forget, one of my websites was once hacked because one of the admins had his password set as “firstname123.” That’s one of the first things the dictionary attack bots go after! In the last two years, WordPress has done an excellent job with their auto updater. I know, it can be a bit frustrating when an update breaks some of your code, but this is one of the top reasons why a website gets hacked. Before installing a new plugin and/or theme, do some research! Reviews will let you know a lot about the developer / product, but look at the change-log to see how often it’s updated. Good scripts and themes are updated frequently. Since WordPress is open source it makes it easy for amateur coders to develop a cool plugin that they can charge for. Unfortunately many of these have been developed without proper quality assurance testing. Personally, I’ve even fallen victim to this, buying themes on ThemeForest, then finding out later it was coded very poorly. All hackers have to do is “train” their bots to look for certain themes, giving them wide open access to your website! There are a lot of WordPress security plugins on the market, but you should use one that alerts you when things are out of date or when a failed login happened. I’m a big fan of Wordfence but it can be taxing on your server load if you get a lot of daily unique visitors. I’d say if you get under 1,000 daily visitors, give it a shot. If you do more than that, you may have to have your developer take a look at your setup and determine what would be your most efficient security plugin. If you’ve tried to login to your wp-admin without https it’s likely you’ve encountered errors with session handling! This is actually a good thing! You should ALWAYS use https on at least your wp-admin area, but really your entire site. With SSL now being free and automatic (thanks to Let’s Encrypt) you should ensure every domain and subdomain uses https. I was telling a customer the other day, I feel like it will soon be a requirement across the Internet and I can see Google de-indexing non-ssl websites. I actually have a video tutorial recorded about using SSL and WordPress here. This will save you a lot of headache being able to revert to a previous backup before any malicious code was installed. Also, don’t make the mistake of backing up your website on the same server it’s hosted, that won’t do you any good! If you follow these six-tips and frequently audit them, you will keep your website safe from hackers and online. If not, you’ll eventually learn why you should have! While we do offer WordPress malware scanning / removal nightly here at NameHero, by the time we find it, your sites already in trouble! Our scanner can help preventing the cancer from spreading, but it cannot prevent it! Only you can do that! Did you know WordPress isn’t just used to create blogs? Here’s how you can use WordPress to build a beautiful agency website for yourself or other clients! Nothing says more about a company than visiting an amazing website that’s professionally developed and formats correctly across all devices. In today’s digital world, it’s essential for companies that want to make a lasting impression on their customers. But how do you accomplish this without spending thousands on a developer? 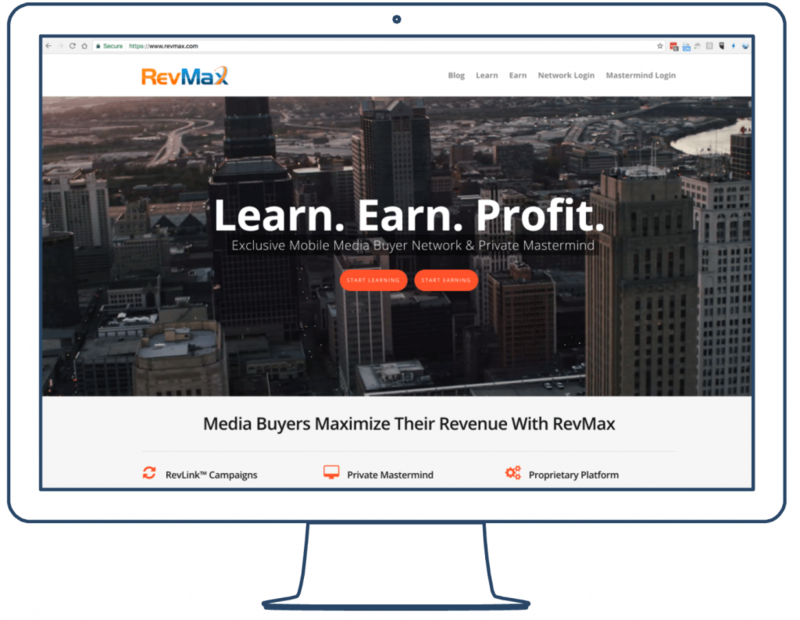 Multiple layouts – Unlike other themes, you can easily “change this one up.” I’ve changed RevMax twice now as we’ve shifted our business model. Love the flexibility! Highly customizable – If you look on RevMax you’ll notice I added the CSS gears on the main page. Salient easily allows me the ability to add my own code on any page. Fully responsive – It’s 2017! Every website MUST be responsive! Frequently updated – Red flag number one to me is something that isn’t updated. Since we all know development is never perfect, something that isn’t frequently updated is wide open for trouble! Don’t get me wrong – I love to dig into code and make magic happen. But not everyone is a fluent coder! Salient understands this and makes everything point-and-click. They even have “demo sites” you can install and modify to meet your needs. I think I paid around $52 when I bought Salient for RevMax, but I noticed they’re now selling for $39! I think that’s a great deal! Now don’t get me wrong, there is a time and a place to have a custom developer, but that is costly, making Salient a perfect option for those just getting started with their online business. Props to the ThemeNectar team for their hard work on this project! If you use Salient, share your site so we can all see below! 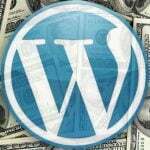 WordPress is also an excellent platform to make money with Affiliate Marketing! Step 5 is where I show how to install the required software, Aliplugin, and help you begin building your website. If you made it to the end of this massive post – congratulations you’re well on your way to having an amazing blog! It’s my goal as a web hosting company to provide you with the best tools and education to help ease the learning curve and make your blog awesome from the beginning. We’ve had thousands of websites move their blogs to our WordPress hosting because of our feature-rich, affordable plans. We also believe in 100% customer satisfaction offering 24x7x365 live chat and ticket support. Feel free to ask any questions in the comments below or you can connect with me on Facebook, Twitter, LinkedIN, or email!